First, I apologize for the lack of blogging lately. My excuse is that I've been practicing several hours a day the last few weeks, and, honestly, that takes priority over blogging. Hopefully as we shift and balance things I'll be able to find more time to update. 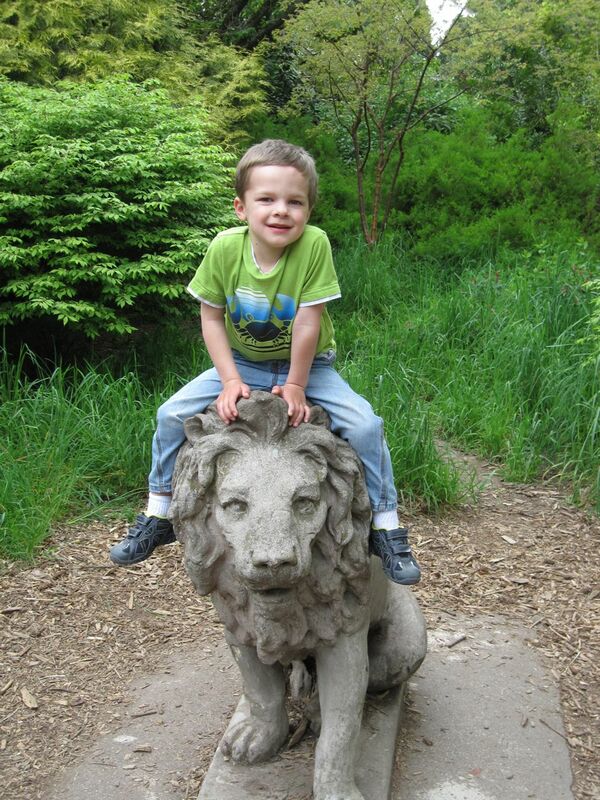 A few weeks ago Gareth and I got together with a friend who will be in his preschool class in the fall. We decided to meet at the zoo since they're having a dinosaur exhibit right now that the boys would enjoy. It turned out to be a beautiful day (one of the first really nice days we had this spring) and was perfect for spending at the zoo. 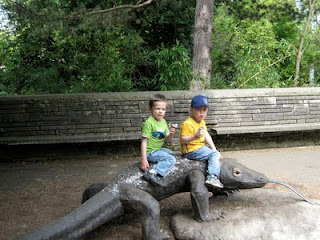 We let the boys each choose a couple of animals to see in addition to the dinosaurs. All our pictures this time are of them sitting on statues of the various animals we saw (though we also visited the elephants, orangoutangs, and a few others). Gareth loved the dinosaurs, of course, so we went through there twice. 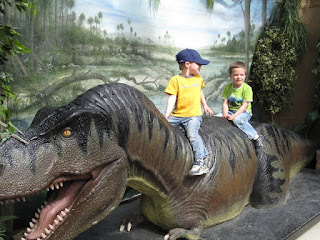 Gareth's asked a couple of times since to go back (primarily for the dinosaurs, which won't be around forever), so we might have to get another visit in over the summer.